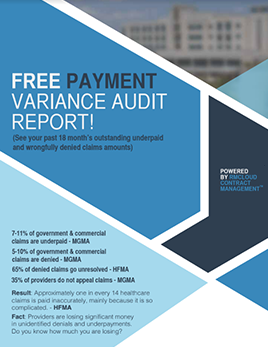 White paper on how to identify & overturn underpayments & denials & the decision & caveats of DIY vs. outsourcing. 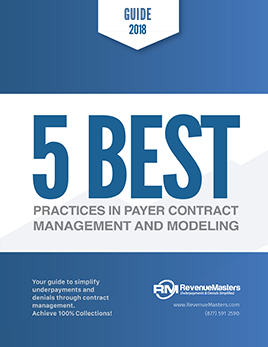 Your guide for best practices in payer contract management and modeling. 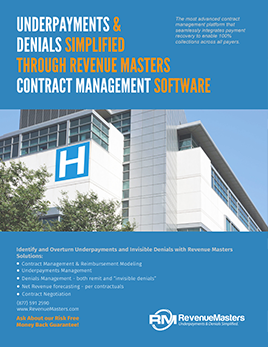 Information on how to simplify underpayments & denials via Revenue Masters contract modeling & management software. 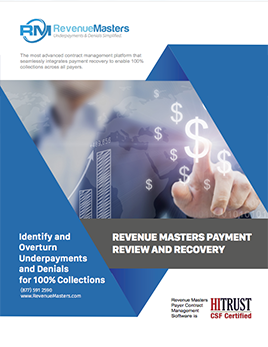 Full service Revenue Masters underpayments and denials contingency payment recovery service. 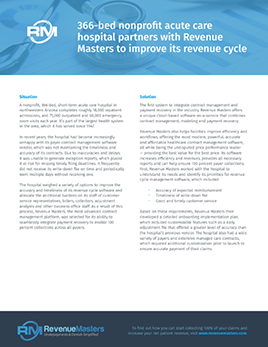 Information about how other hospitals have improved their revenue cycle and increased NPR with Revenue Masters. 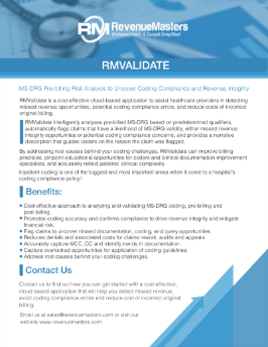 Information about Revenue Masters MS-DRG Pre-billing Risk Analysis to Uncover Coding Compliance and Revenue Integrity. 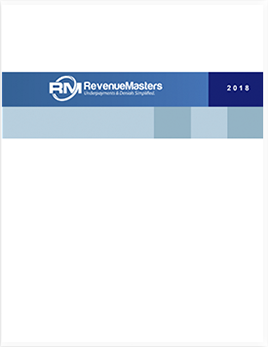 Information about how to receive a free payment variance report from Revenue Masters. 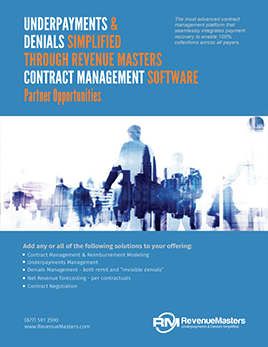 Utilizing contract modeling and contract management to achieve 100% claims collectability. 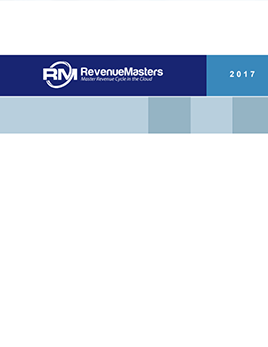 Brochure with information about Revenue Masters offers for reseller and integration partnership opportunities.